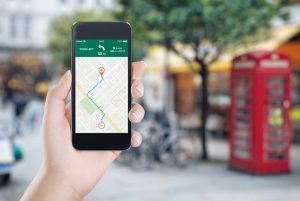 Similar to Google Maps, Apple Maps Connect is an online business listing tool that has the potential to help you improve your online traffic. While there are certainly a few kinks that still need to be worked out with this app, creating a listing for your business or updating the existing one can help you keep track of all of your online interactions and make it easier for your prospective customers to find you more easily. Anyone who uses Apple products can access your online business listing, which means you have the potential to reach millions of users. Since the inception of this app, it’s never been easier to increase your online following and help your customers find your business, products, and services. What Is Apple Maps Connect? 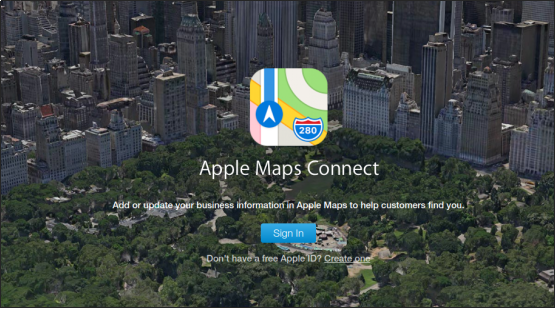 Apple Maps Connect is an online tool that supplements Apple Maps in which users have the opportunity to input important data and details about their businesses that’ll make it easier for prospective online customers to find them faster and more easily. It includes pertinent details like contact information, physical addresses, social media links, and descriptions of your business. As the name suggests, the whole point of this app is to literally connect with your target demographic and provide them with the information they’re looking for regarding your business. Why Use Apple Maps for Your Business? Apple Maps is one of the most highly downloaded apps in the world because it helps connect consumers to local businesses. When people use Siri to find certain products or services, the program scours a wide range of different databases to find the information that you’re looking for and one of the most prominent ones is Apple Maps. That means having your business listed on Apple Maps increases its likelihood of being shown to potential Apple users even more so than Google searches. Just think of how many people purchase Apple products and have Apple IDs and how you can effectively reach them. If you’re wondering how you can create your account, keep reading. Apple Maps has a detailed accounted creation process that allows business owners to enter intricate details about their brand and company as a whole. Here are step-by-step instructions on how you can not only create but also optimize an Apple Maps account for your reference. To start the registration process for claiming/listing your business profile, visit: https://mapsconnect.apple.com/. 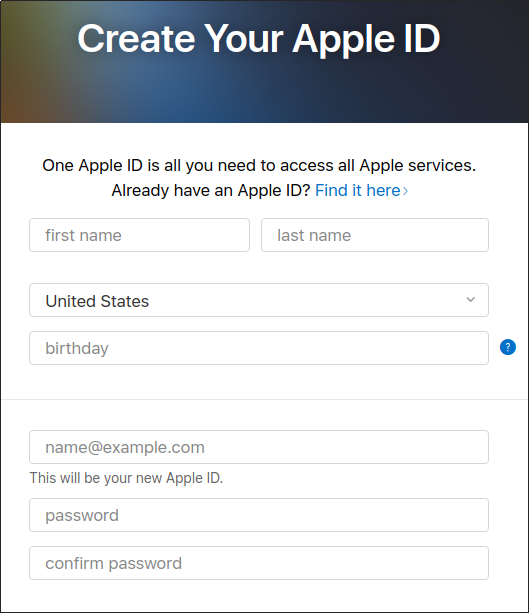 If you already have an Apple ID, sign in to your Apple account or create a new ID. Add your profile details here, and answer the security questions. After you search for your business name, all you have to do is literally claim your business and identify yourself as the official business owner or someone who’s authorized to run the account and make changes. 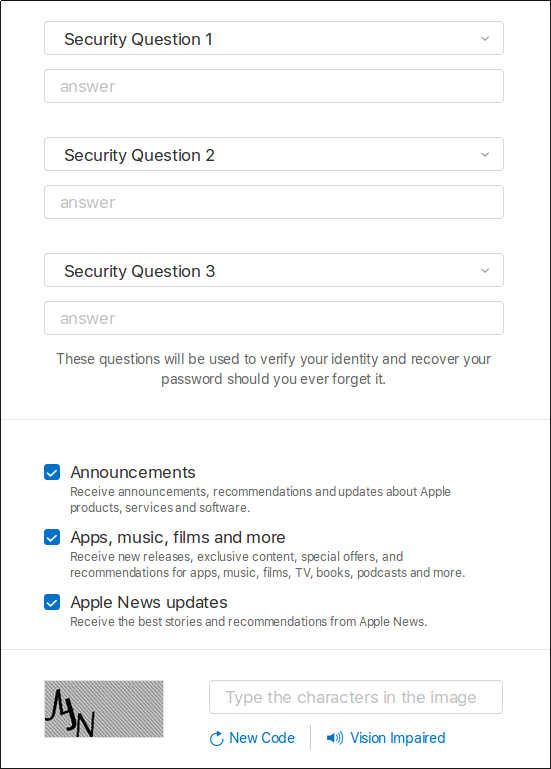 Apple requires that all business owners enter information describing their business, products, and services that’ll make it as easy as possible for customers to find them. Including as many details about your business as you can and even adding a lighthearted spin on it will undoubtedly attract more potential customers to your business. One of the most important pieces of contact information that Apple will ask you to input is your phone number so that they can call you and provide a verification code that you’ll have to enter into the app. The purpose of this practice is to authenticate the account and make sure that whoever is running it is authorized to do so and guarantee that all of the information is correct. It gives you the opportunity to review all of the information you’ve entered and ensure its accuracy, which is highly important because the last thing you want is to have incorrect information on your profile. One of the cornerstones of local SEO practices is showcasing the complete address of your business. Chances are, when people search for certain companies, products, or services, their search results are most likely to show results for businesses that are within close proximity for them. Potential customers need to know what your hours of operation are so that they know when they can visit your business. 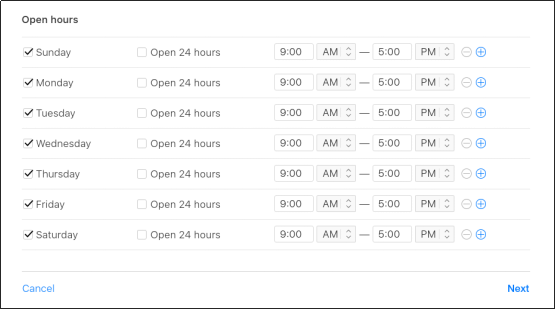 This is a useful tool because it also tells anyone searching for your business what your peak business hours are and how much time they have to actually get to your local business before it closes. When people have a hard time finding the hours of operation of your business, they’re less likely to support your brand. This is vital and basic information that should be made available to the public and Apple Maps Connect makes it extremely simple. Including your company’s official web site and direct social media links onto your Apple Maps Connect local business listing is fundamental. It gives people an opportunity to not only learn more about your business but also gain a sense of the types of products and services you offer aside from what they were initially searching for. A direct link to your official web site and social media makes it easier for your online followers to connect to your business and interact with you, which makes your brand more relatable. This is perhaps one of the most important steps throughout the entire process and it can’t be reiterated enough. Make sure to always review every piece of information you enter on your business listing platform and check for accuracy. Any piece of information that turns out to be inaccurate or inconsistent with what’s posted online could result in a great deal of frustration for your prospective customers and leave a bad taste in their mouths. 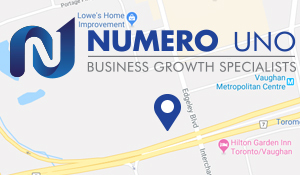 Numero Uno Web Solutions is a leading SEO company that’s helped countless business throughout North America establish and improve their online presences. Whether you need help creating or improving your local business listing, we can help you boost your online brand. Contact us today to learn all about our extensive SEO services.